Explore and learn about local tide pools and conservation efforts. 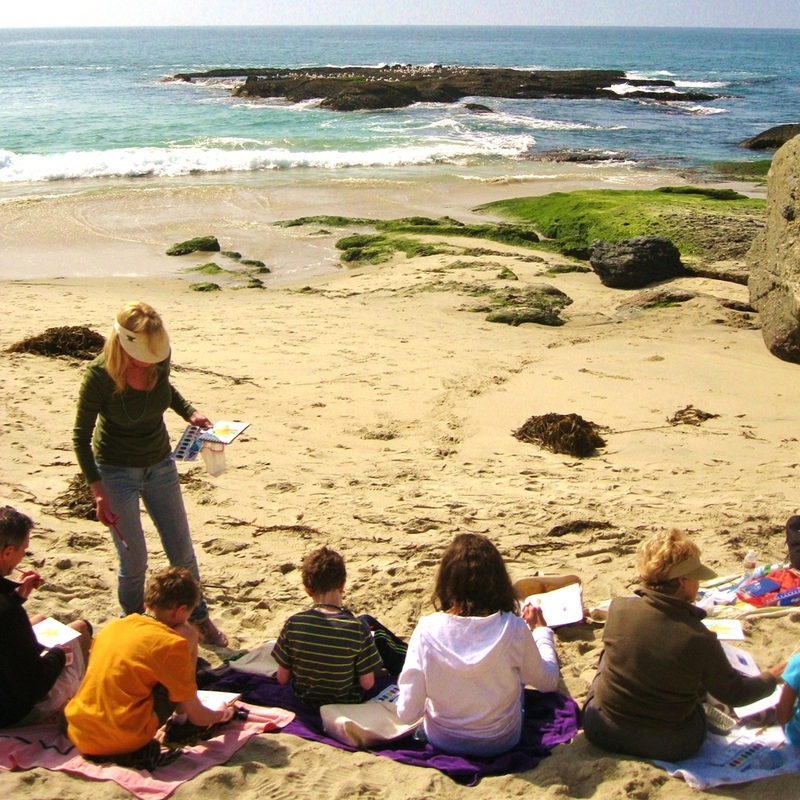 Participants will learn how to create their own color renderings of local sea life with a step by step demonstration of various watercolor techniques taught by a LOCA artist. All students receive an art package that includes a watercolor journal, and a set of watercolors in a canvas tote. This educational program melds the arts and science beautifully. It offers families a wonderful activity to participate in together. This workshop is offered to ages 6 through adult. This is a grant funded program and is part of a new collaboration between LOCA Arts Education and Laguna Plein Air Painters Association. Advance registration required for all students.